The Future of Fun: 3D Printing - Innovation Loft | UNLEASH YOUR TEAM’S POTENTIAL! Thursday, March 26th, join 3D Printing gurus Fred Kahl and Kacie Hultgren as they share the future of 3D Printing and talk about their vision for how this trendy hobby is becoming a central part of the work process of professionals and artists alike. Enjoy relaxed networking and participate in a rapid innovation brainstorm game to create your own vision of the future! 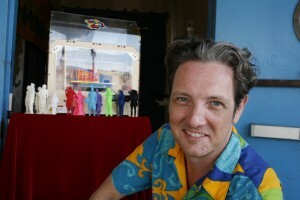 Fred is an Artist, Creative Director and 3D Printing Guru who is a Veteran of the Coney Island Circus Sideshow and a beloved alum of Funny Garbage. Project such as the Scan-A-Rama 3D Portrait Studio and Thompson & Dundy’s Luna Park: 3D Printed. 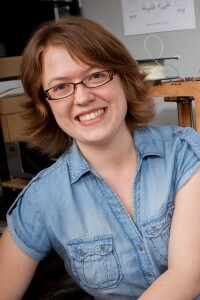 Kacie is a set designer in the theatre industry and 3D printing expert. Her experiments using early DIY desktop 3D printers for scale model building led to an online following in the 3D printing community, where she posts under the handle “PrettySmallThings.” She records video courses for Lynda.com on digital fabrication and is passionate about teaching others to use digital tools and hardware to augment traditional craft.